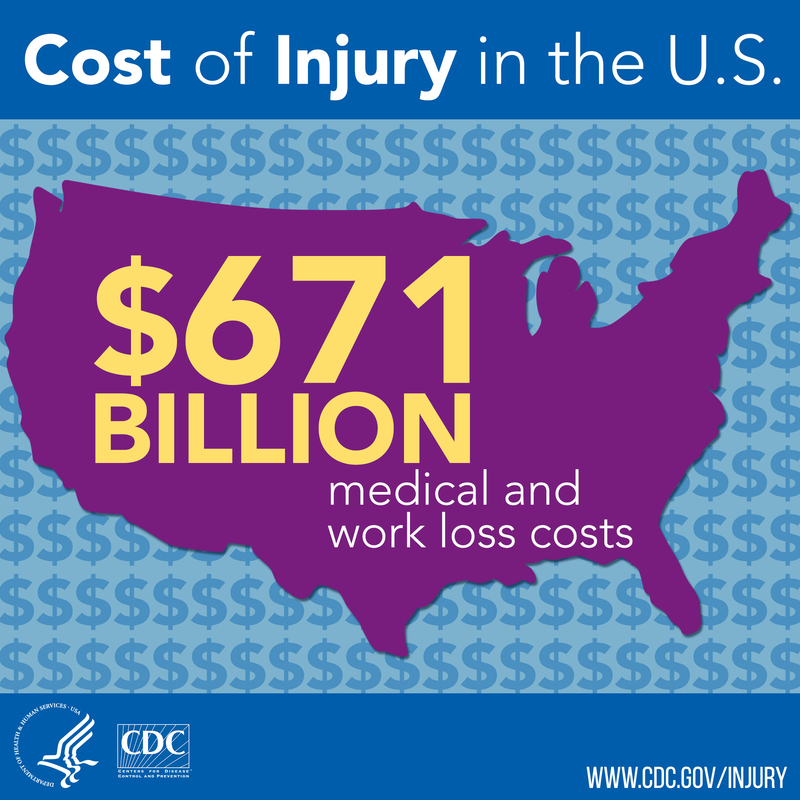 The cost of injuries is one of the biggest drivers that motivates employers to take action, however, employees take the brunt of the “Human costs” of MSDs through unnecessary pain and suffering, loss of income, stress, conflict, and more. Employees deserve to go to work every day and return home to their families in the same or better condition. Employers should reap the benefits of happy, productive employees from the first day on the job until retirement. The only way to achieve this is through balance. Our process creates a solid foundation for long term success and builds a solid but flexible structure which allows balance to exist on a daily basis. The most costly work-related injuries are Musculoskeletal Disorders (MSDs). MSDs are reported by persons in the U.S. more than any other health condition. In 2004, the estimated total cost of treatment and lost wages associated with Musculoskeletal Disorders was $849 billion dollars, equal to 7.7 percent of the gross domestic product (GDP). Even the most moderate of calculations put the annual costs of MSDs at over $380 billion, every year, in the US alone! These costs continue to eat away company profits. in the Prevention of MSDs. Prevention of MSD Injuries & Illnesses, Not Treatment. 800,000 back surgeries performed every year in the United States alone. Back, shoulder, neck, wrist and knee injuries are the highest cost and the most common forms of MSD injuries. Sprains and strains account for over 40% of all lost time injuries. For many years, Back Injuries and Lower Back Pain (LBP), continue to be the number one business loss. Many calculators today place a $60,000 price tag on just one back or soft-tissue injury, however, the total cost generally adds up to $275,000 or more, over a three year period. In either case, a company cannot afford MSD Injuries. When an organization takes a serious look at the costs related to MSD injuries (past, current and potential), and then combines those losses with decreased productivity, increased presenteeism and lower morale (resulting from fatigue, discomfort, pain and injuries), then adds DART days to the equation, the data clearly shows that employers and employees alike suffer losses in the hundreds of billions of dollars, every year. These unnecessary direct and indirect costs are typically the biggest expense for any organization, right under meeting payroll. OSHA recently stated that, “MSD injuries destroy a family’s emotional and financial security and the toll on injured workers is intolerable.” They also said that “Workplace MSD injuries are taking an enormous toll on the U.S. economy.” The fact is, as much money is spent on back injuries and back pain as is spent on cancer in the United States! We can’t see a back injury and we don’t really know who is hurting and who is not, at any given time, but believe us the number is probably higher than you think. Employees seldom openly talk about how they feel and rarely speak about pain. These conditions rarely, if ever go away by themselves. Some of your employees may have back pain and some may have experienced a back injury already. If/when an injured worker is fortunate enough to return to work, they are then five times more likely to reinjure themselves. From our experience, many of your employees are currently experiencing early warning signs of a potential MSD injury. Also consider, that people who have been seriously injured are not at work, they are at home. Their coworkers cannot see these injured colleagues and often are not given the opportunity to learn from these unfortunate situations. Often a huge opportunity is missed, which might then allow all employees to potentially avoid the same situation for them. Open, honest communications are always the most successful strategy for preventing future injuries. Making good use of teachable moments is one key to our client’s success! We realize that aging workforces and economic cycles exponentially increase risk and risk taking. We also realize that changing long term behaviors and habits is challenging, but this is our specialty and precisely what our company accomplishes with excellent results! Our training programs bring about actual behavioral change by implementing countermeasures, such as SAFE stretching and flexibility exercise programs. Our system and process is guaranteed to add value to your safety system and will substantially reduce risk in your organization while simultaneously eliminating preventable injuries and incidents. Are MSDs Eating Away at Your Profits? We can calculate your losses and your potential gains for you. Accurate Ergonomics is an industry leading, MSD prevention organization and we know how to get to the bottom of your MSD challenges. We look forward to assisting your organization throughout the process, so that once and for all these costs will finally be reduced. We help you transition the annual cost of injuries into annual profits. Prevention Pays Dividends for Life. Also see the Human Costs of MSD Injuries.